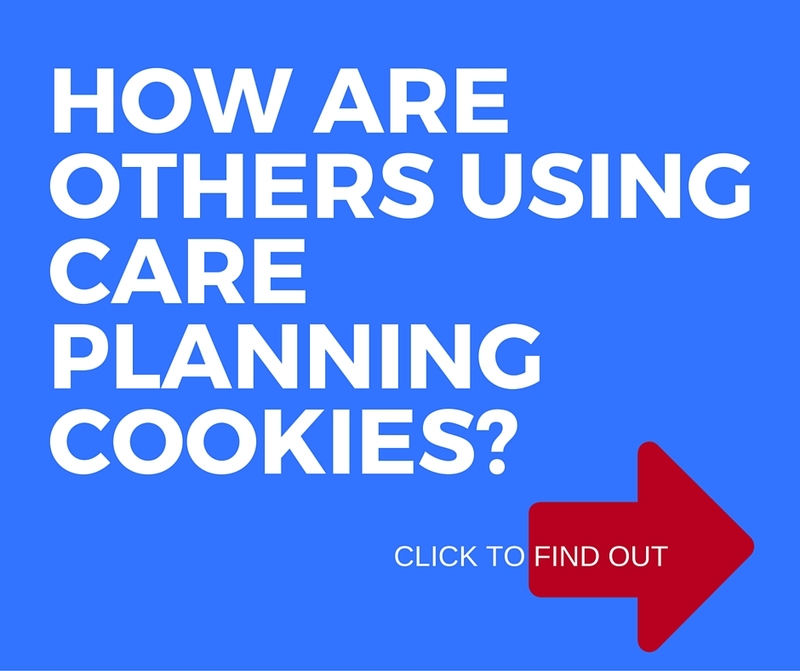 What are Care Planning Cookies? We are pleased to introduce you to the Life and Death Matters Care Planning Cookies – edible cookies with a message inside, each one intended to stimulate conversations about living well and dying well. English, French, Spanish and Chinese versions of 2 different message sets now available. You can choose your language preference, message set preference, and quantity, after clicking the purchase button below. Did you know: Life is terminal! All of us, 100%, will die. According to research, most people say it is important to talk about death and prepare for death, but most of us have not talked with our families or our physicians about what is important to us, nor have we assigned a Substitute Decision Maker. Conversations about living well and dying well can be challenging, but they are important, so we have developed edible Care Planning Cookies to help you get the conversations started. If your family, friends and loved ones do not know your wishes, what quality of life means to you, what medical procedures you think you may or may not want – they will experience increased stress at an already stressful time and they will likely experience disagreement between family members. When people are left to make decisions for you, without any previous direction from you, they may make decisions that they would make for themselves, or they may choose more aggressive treatment options because they do not feel comfortable allowing natural death. This burden can be lessened when you talk with them about what is important to you, what living well means to you, and medical interventions you may or may not want. We are a small community hospital with a limited budget for education, so we need to be creative. We wanted to do something great for Advance Care Planning Day on April 16th and I thought of using the Life and Death Matters Care Planning Cookies. On that day, every patient in the hospital will receive a Care Planning Cookie on their meal tray, along with information from the Speak Up Campaign for National Advance Care Planning Day. In the hospital cafeteria, all staff, visitors, and families will also receive a cookie and materials from the Speak Up campaign with their meal or beverage. We look forward to stimulating the discussion! We invite you to prepare. We invite you to talk about living well and dying well… so you can have real peace of mind, because both Life and Death Matter! I wanted you to know that I just shared the Care Planning Cookies with my advance care planning leadership team – and they love them!!!!! It prompted such interesting and important conversations in such a non-threatening way & we all agreed that we want to integrate their use in our ACP Public Education sessions. Planning, or hosting, a party? Unwrap the cookies, lay on a pretty serving dish and pass them around with dessert. Start the conversation rolling! These cookies could be very difficult in some groups. We would only suggest providing them at a party when you are part of the planning process. As you’re sitting around after dinner, you can explain to your friends that you’ve come across Care Planning Cookies. Tell them that these are not your average ‘fortune’ cookies, and that they have messages inside to stimulate conversations about living well and dying well. Invite people to participate or not, and allow space for both. You might find that one person breaks open their Care Planning Cookies and reads the message out loud, followed by a group discussion, then the next person opens their cookie followed by discussion. Or, you might ask only the person who opened the particular cookie to answer their question themselves, and then open to discussion at the end. Play an after dinner game of Can You Guess? You will need a pen and a piece of paper for each person, and the Care Planning Cookies. Have people split into groups of 2. Each pair breaks open one of the cookies, reads the message inside (out loud) and have a few moments to write down their answers, then have the partners guess at what they think the other person’s answer was. Finally, they read their answers out loud and discuss the outcome. Bring the cookies along to a family potluck. When people open the cookies they will have some interesting conversation with the person they are sitting with! Remind them that these are NOT fortune cookies, but rather are Care Planning Cookies and are intended to help people prepare for the future. Leave a plate of cookies in the lunchroom- create some interesting lunchtime chatter. In a healthcare setting, offer a cookie to each person after a tour of the facility. Host an Advance Care Planning Appy Evening. Pass the cookies around to stimulate discussion and then have a speaker to a short talk about Advance Care Planning. Minnesota hopes to inspire and support many community-based conversations regarding end-of-life care planning. We urge Minnesotans seeking to start such conversations in their family, faith, cultural or community group to use this “toolkit” of video, text and web-links to support these conversations. Five Wishes is changing the way America talks about and plans for care at the end of life. Five Wishes has become America’s most popular living will because it is written in everyday language and helps start and structure important conversations about care in times of serious illness.